Stuck in a gift rut? Not sure what to get her for that special occasion? Whether you're shopping for your wife, mother, sister or friend, finding that perfect gift can sometimes be a daunting task. The collection of unique jewellery featured here may just inspire you. 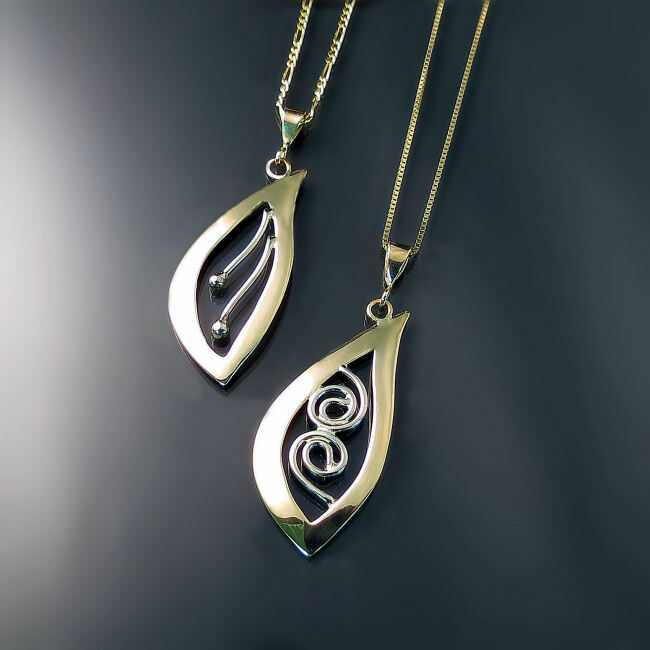 We have provided links for jewellery items available for immediate online purchase. All other featured pieces are in-store only items. Please call or email to check availability and to inquire about shipping. All prices shown are in Canadian dollars. Pretty pearl earrings are versatile and fresh. 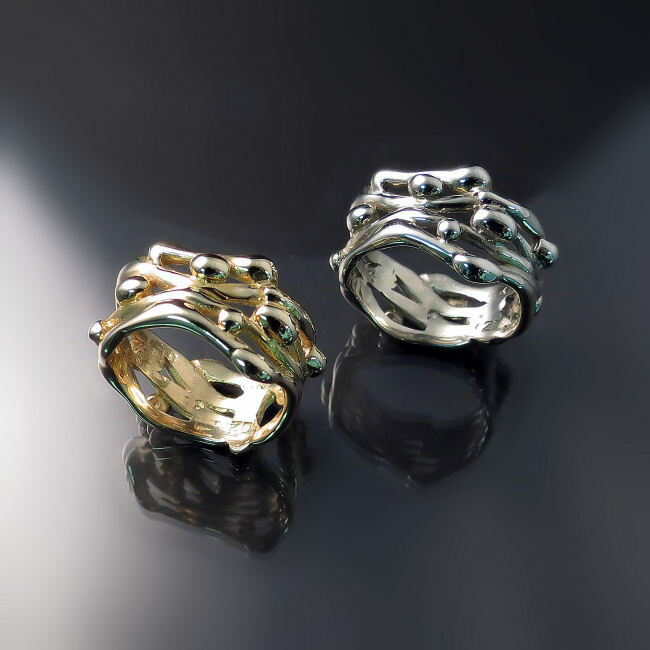 These organic rings make a statement while remaining casual and comfortable. Effortless every day style for the cool gal. Sparkling flower rings for the girly girl. Rubies, sapphires and diamonds are pretty much guaranteed to put a smile on her face... especially when they're presented in these whimsical 18K white gold flower design rings. 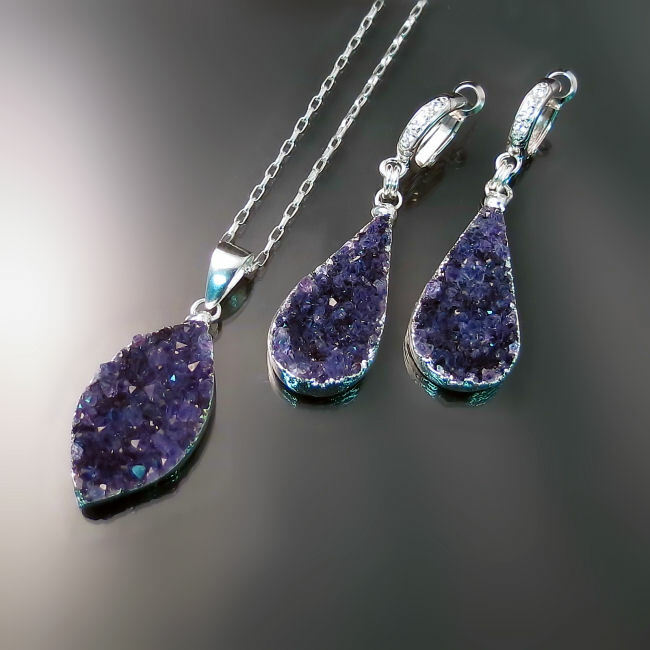 Druzy Amethyst necklace and earrings set. Give her casual elegance with this rustic silver ring with gold accents and and a glowing Opalite. From the kids to mom on Mother's Day, as a sibling gift or from one bestie to another, these pea pod pendants and earrings make adorable gifts. One of a kind jewellery tells her you think she's special. These unique two tone 14K gold pendants are handcrafted so each one is a little different. Lot's of sparkle and designer style but she won't get mad at you for spending a fortune on these gold diamond lookalikes. These dangle earrings are gold plated sterling silver set with high quality CZ. 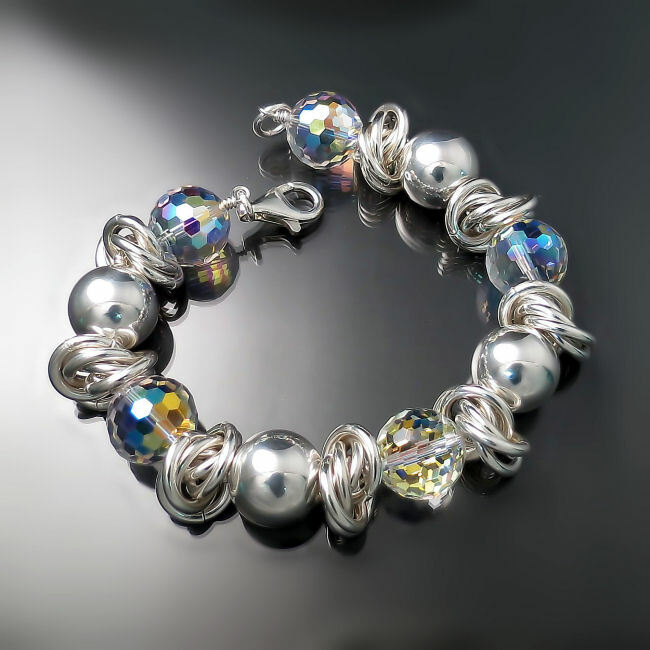 Sterling silver bracelet with pearls. Matching earrings also available. 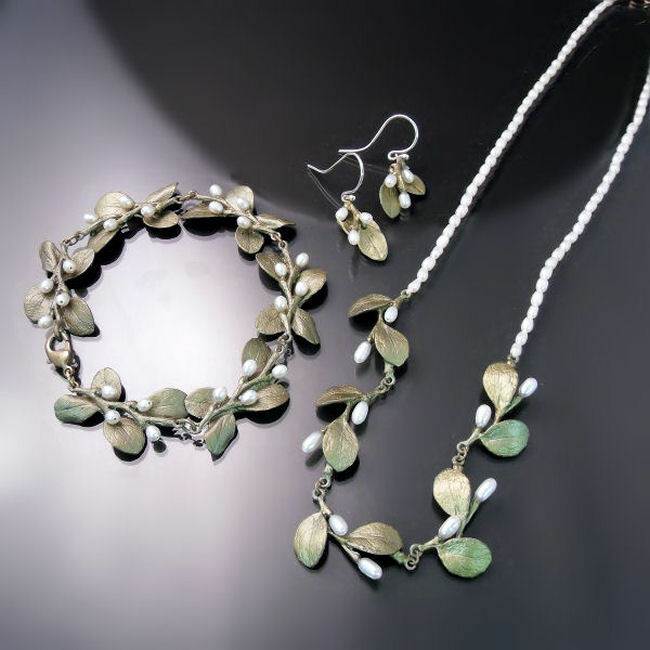 Botanical jewellery collection perfect for the nature lover. Timeless, elegant, and classic; lockets become meaningful keepsakes (especially if you put something special inside). She'll be whisked away to an enchanted garden each time she wears this unique silver ring set with pearls and opalite.